Look at that big happy smile. Look at his big happy leap at the beginning. Look at those big floppy ears. What a good dog. 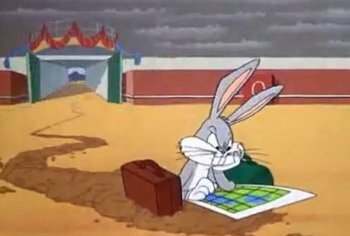 Also: I have seen Bugs Bunny dig through dirt like the dog is doing, but never an actual animal through an actual factual thing in the world.